The premier Domestic, Home and Office Coffee Machine specialist in Australia, Coffee Shrine are the first choice for tailoring a home or office coffee package to suit the needs of your work place. 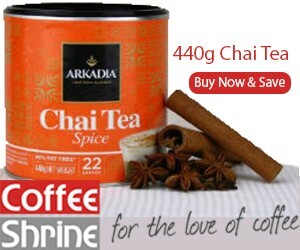 At Coffee Shrine we belive that a Home or Office Coffee Solution is more than just selling coffee machines. Contact our office to inquire about stylish and functional super automatic, fully automatic, traditional or vending style coffee machines, some of our premium manufacturers includeSaeco, Isomac, Gaggia, HLF, Wega, La San Marco, La Marzoccao and N&W Vending. Catering Supplies: Takeaway Cups, Plastic lids, Stirrers, Sugar, Sugar Sticks. Our customers include the who’s who or Australian business from the largest multinationals to small offices or domestic our Coffee machine solutions can be found in home kitchens, offices, boardrooms, showrooms, waiting areas, staff canteens, hotels and clubs in Perth, Sydney. Melbourne, Brisbane, Hobart, Adelaide and Canberra. Our coin operated coffee vending solutions provide fantastic fund raising opportunities for social clubs, while rewarding staff and guests with cafe style coffee without having to leave the office. Coffee Shrine also offer a complete range of finance solutions to suit your organisations requirements: buy, rent, rent-try-buy, lease or pay per cup. Invest in your staff, guests and customers¦. and enjoy the benefits of happy and productive associates. Coffee Shrine make finding your office beverage solution effortless. Call us today on 1300 722 430 to arrange a no obligation consultation. Contact us or simply use our Office Coffee Machine Express Enquiry Form to request information on the best office coffee machine solution for your workplace or home.